Full Market Cycle: What is it and why should I care? What Is A Full Market Cycle And Why Should I Care? When investors come to assess the performance of money managers, they should bear in mind the aphorism famously popularized by Mark Twain, "there are three kinds of lies: lies, damned lies, and statistics." For while the statistics appearing in fund prospectuses always tell a good tale, the horror stories come to light later on, by which time it is too late to take corrective action. Yet by putting the alluring numbers of marketing brochures into a wider context, the danger of not seeing the forest for the trees can be avoided. In similar fashion, absolute returns tell only half the story. No performance appraisal is complete without an assessment of risk. The idea that an investment should be evaluated against the backdrop of a full market cycle is a simple but potent one. The intuition is basic and might be explained by comparing money managers to cross-country runners who traverse a diverse terrain. Sometimes the course goes downhill and then it is easy for the runners, who may take the opportunity to increase their speed. A little later, the course ascends steeply and the going gets tougher. Some runners may start walking or even drop out of the race entirely. Clearly, running an uphill course is an entirely different exercise from cruising one that slopes gently down. Your portfolio gains little if it has terrific Bull Market returns only to give much of it back during the next Bear Market. In investing, time horizons matter as much as chance does; so it’s important to consider full market cycles. If you were running a course, wouldn’t you set a strategy that took into account the entire passage? In investing terms, that is a full market cycle. 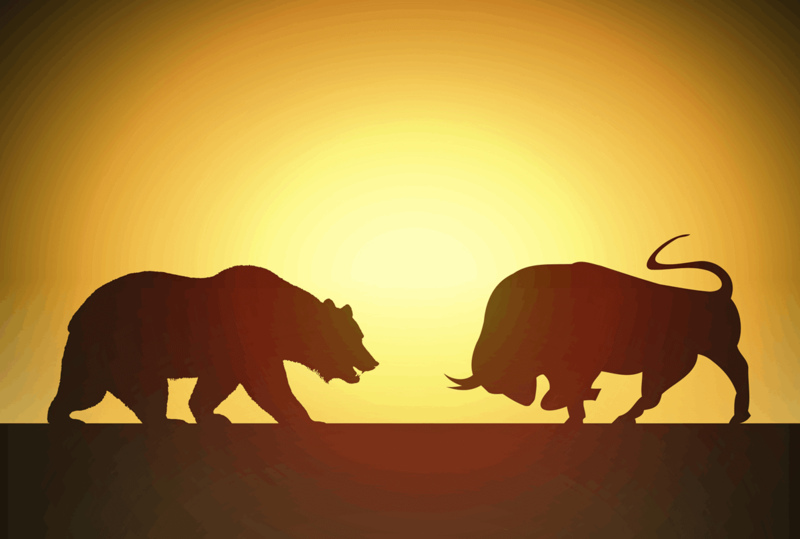 A full market cycle is typically defined as the period between two peaks which includes both a Bear Market and a Bull Market. Your portfolio gains little if it has terrific Bull Market returns only to give much of it back during the next Bear Market. Your first question when considering an investment should always be “what is the drawdown?”. In other words, insist on knowing what you are going to risk before listening to the potential rewards. The Securities and Exchange Commission (SEC) was created to protect investors. The SEC mandates that funds provide 1, 3, 5, and 10 year returns in their literature; however such metrics do not provide all of the information you need. Unfortunately, the SEC does not mandate that funds provide historical drawdown statistics in fund literature and prospectuses; however that does not mean that the information is unavailable. It simply means that you'll have to work a bit harder to get "the rest of the story". Drawdown is the peak-to-trough decline in value of an investment during a Correction or Bear Market. It is easy to see that the "New Gains" would have been much greater had the growth from 2009 started from a much higher level by avoiding the deep drawdown. The previous Bull Market ended in September of 2007. The ensuing Bear lasted just 18 months, until March of 2009, but took the market down 55% ("Maximum Drawdown"). The current Bull Market spent the next 48 months until March 2013 working to "Recover Losses". It is easy to see that the "New Gains" would have been much greater had the growth from 2009 started from a much higher level by avoiding the deep drawdown. The first dollar of "New Gains" did not begin accruing until March of 2013, which means that 67 months elapsed with no net gain. This is why it is so critical that the "Compound Annual Growth Rate" be measured to fully include Bear Market declines, in other words, a Full Market Cycle. The 8.17% Compound Annual Growth Rate, calculated from September of 2007 through December 2017, looks a great deal different than the Compound Annual Growth Rate for the past 1 year (21.7%), 3 years (11.3%), or 5 years (15.7%). Returns for the past 10 years (8.4%) are finally reaching the point where they reasonably reflect a Full Market Cycle; however the Bear Market decline is already begun dropping out which once again inflates returns. Drawdowns must be fully recovered before the portfolio can return to growth. Investors approaching, or in retirement, may not have the luxury of the time required to recover losses. The most important measure of portfolio performance for those approaching or in retirement is return relative to drawdowns. The higher this ratio, the higher the withdrawal rate the portfolio can sustain. Drawdowns are a key measure of investment risk relative to the investor’s risk tolerance. Is your tolerance for portfolio loss before throwing in the towel: 10%? 20%? 30%? 40%? 50%? If you sell out when the drawdown exceeds your tolerance level, how and when will you get back in? Drawdowns are a key measure of the portfolio manager’s effectiveness in controlling risk. A portfolio that has suffered through a 55% Maximum Drawdown, as last seen for the S&P 500 during the 2007-2009 Bear Market, must more than double in value to restore portfolio value. Further, you must have the time available to wait for the market to recover which becomes particularly challenging if you are retired and making regular withdrawals. Avoiding large drawdowns will do more to improve your portfolio returns over a full market cycle than racking up better than average gains. You will also sleep better during Bear Markets. While investors generally understand that markets rise and fall, the concept of investing for a Full Market Cycle is often lost in the focus of the Financial Services industry on selling market returns. While the SEC requires every prospectus to include an eye glazing list of "risks", it fails to require disclosure of the simplest and most understandable risk of all: historical drawdown statistics. One wonders how many investors would rush into equity index funds if the prospectus clearly stated that the index (including dividends) lost 50%+- in 2000-2002 and another 50%+- in 2007-2009. Those are just the most recent Bear Markets. Human beings are optimists, and rightly so. Optimism drives progress; however there is little advantage in being optimistic about recovering from Bear Market declines when the risks can be mitigated with loss reducing techniques such as a Market Conditions Model and Tactical Asset Allocation. What is Tactical Asset Allocation? How does it improve returns? Why Adaptive Income? Where Does It Fit In My Portfolio? What is a Market Conditions Model? How does it lower risk? Tactical Asset Allocation Strategies, LLC is the developer of the TAAS Market Conditions Model and TAAS Global Adaptive Strategy which lowers risks and improves returns. The Strategy is available to self-directed investors by subscription.